IN 1935 the Austrian physicist Erwin Schrodinger devised a thought experiment applying the theories of quantum mechanics to a hypothetical scenario. Schrödinger presented the idea of a cat trapped in a box with a vial of poison, a radioactive source and a Geiger counter. If the counter detects radiation, the flask is shattered and the poison kills the cat. But according to Schrödinger’s theory, while the box is still sealed the cat is simultaneously alive and dead in the minds of those in the outside world. The theory has probably never been aligned with the world of cricket, but during the third day of the second test between England and West Indies it suddenly sprang to mind. 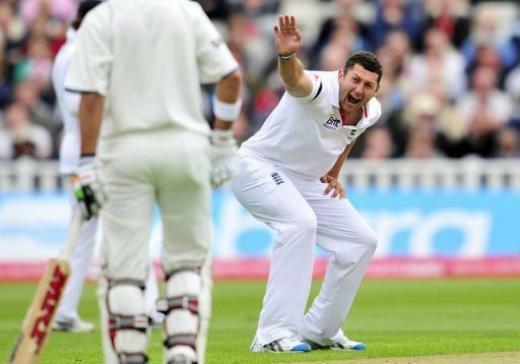 Tim Bresnan bowled two balls to Kirk Edwards. The first one struck him on the pad, a huge appeal went up, but umpire Asad Rauf was unmoved. England decided against the review – a wise choice, as Hawk Eye showed the ball would have gone on to clip leg stump and the original decision would have stood. Bresnan’s second ball again trapped Edwards in front and he was given out. He accepted the decision and the replay had the ball just clipping the bails. In both instances, the ball was only just hitting the stumps. Had the decisions been reviewed, both would have stayed with the on-field umpire’s decision. But the end result was that one was out, and one was not out. Confused? You may need to read that again. This aspect of the DRS is in place to take account of that grey area, the unknown land between the ball hitting the pad for real and striking the stumps in the virtual world of the third umpire’s room. While the players are mulling over whether or not to review a decision, the batsman can be seen as both out and not out. You would think the increasingly impressive technology would bring this existential crisis to a swift conclusion. 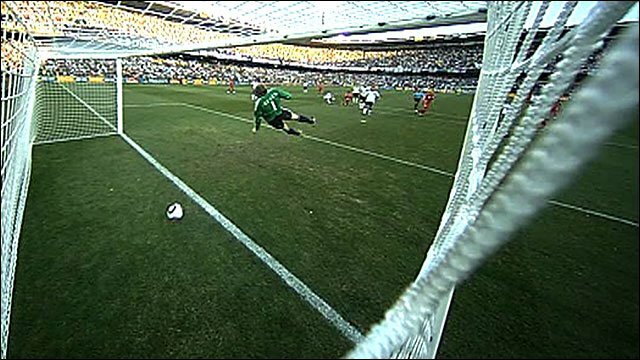 In tennis, Hawk Eye has done wonders to show conclusively whether the ball is in or out. In soccer, the whole of the ball must be over the whole of the line. But cricket being cricket, we have to make things just that little bit more complicated. Let’s go back to that first ball from Bresnan. It was hitting leg stump, but given not out. Logic dictates that the decision should be overturned. If Edwards had missed the ball, the technology says it would have clipped leg stump. Would it have been given not out because only one stump was disturbed? Of course not. If the ICC had a policy of “clipping the stumps is not out”, we could deal with that. But the second ball was clipping the stumps too, and given out. If Edwards had reviewed it, he would still have had to slump back to the pavilion. The DRS is one of the most significant advances of the modern era. It will surely undergo several changes over the next few years, but in order for it to really work the authorities need to trust it. By sticking with this system which leaves half of the power in the hands of the on-field umpire, the ICC is refusing to commit and therefore questioning the reliability of its own brainchild. The ball is either be hitting the stumps – out – or missing them – not out. Until this issue is resolved, the cat in the box remains both alive and dead.